Here is a dish we served last night. 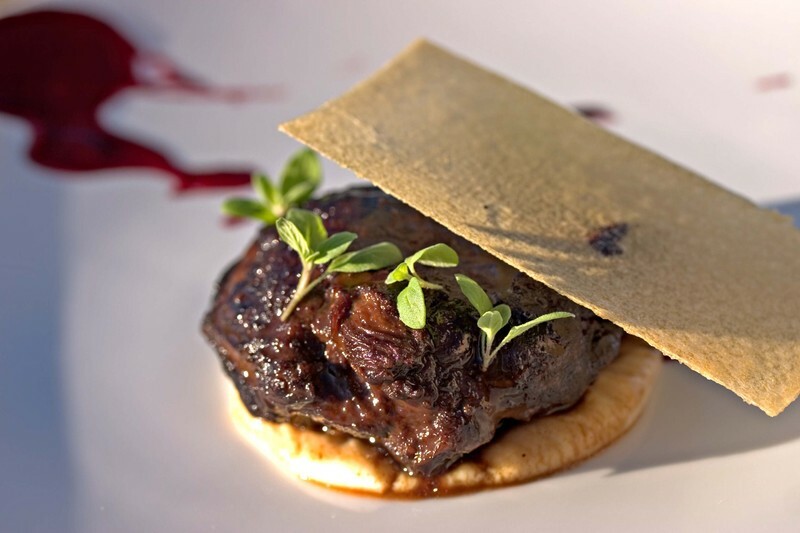 It is olive brined beef cheeks with a parsnip and kola nut puree, tart cherry and red wine sauce, young marjoram and a roasted parsnip crisp. What is even better is that is well received by all.